After all of these years of talking about it, I still can't sew a ruffle. 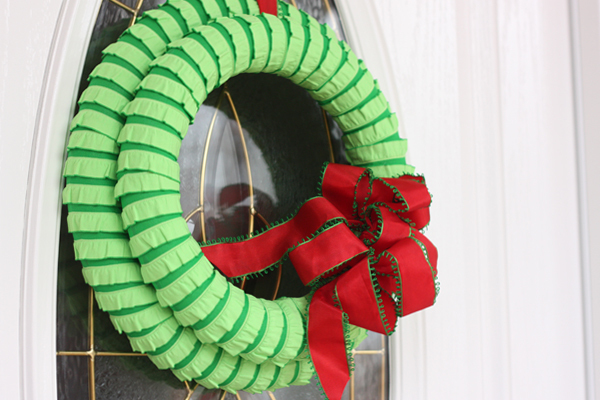 But with this fun ruffled fabric wreath, you don't have to! The only thing cuter I think you could make with this fun green ruffled fabric would be a pair of Christmas pajama pants! Of course I wouldn't be able to sew those either! You can check out how to make a ruffled fabric wreath over at Wants and Wishes.